When life throws you a curveball, think Check `n Go. In Charlotte, we offer payday loans from $50 to $600 so you can borrow just the amount you need. We also offer Netspend® Prepaid Mastercard® for your convenience. Located next Verizon Wireless, we are easy to find on East Packard Highway and ready to serve you. Our friendly associates will provide fast and friendly service and answer any questions you may have. 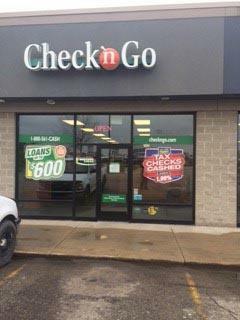 Our Charlotte store offers payday loans, cash advances, check cashing and more. To apply for a payday loan, you’ll need a valid ID, proof of income, an active checking account and a working phone number. Visit your Charlotte store and talk to one of our friendly associates about your options. We hope to serve you soon!